With the colder than usual fall, and shorter-than-usual Christmas season, decorating was smashed into one whirlwind weekend this year! Although I’m still finishing up some new elements, I wanted to give my readers a preview of the tutorial I’ll be posting once Christmas retail sales slow down enough for me to have free time again. A year or two ago, I saw a piece that inspired these horse head wreaths and I knew I just had to try my hand at making my own. 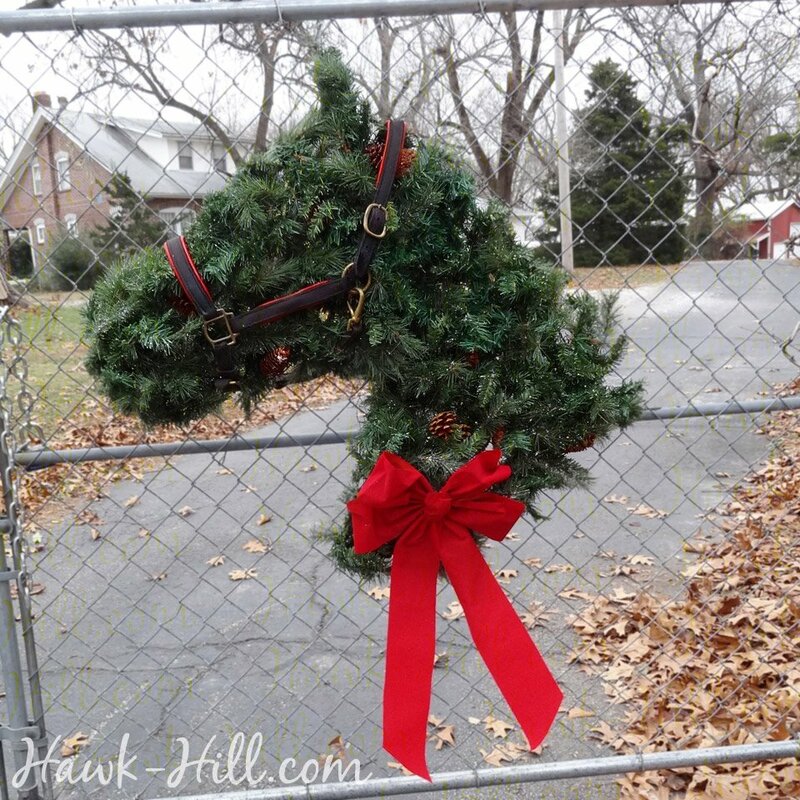 I adore Christmas decorations with an equestrian element- and don’t care much for seasonal decor that looks like it came straight from a big box store, so I was excited to make these horse head wreaths. Though each took about 45 minutes to create, they should last for years and you can bet they’ll stand out as unique and distinctive! They’re perfect for mounting on the front gates, facing the busy road we live on. 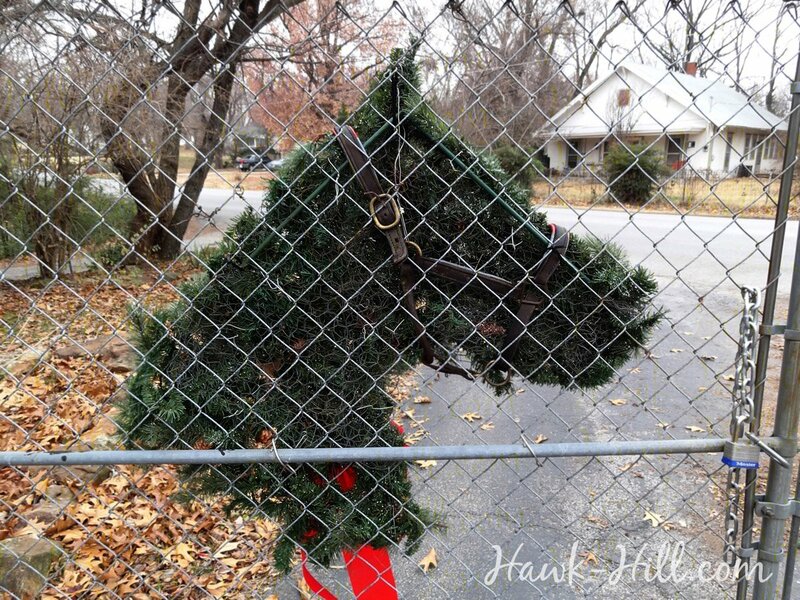 Proof that you should never throw out old, grimy leather tack- here an old padded halter takes on new life framing this horse head wreath. Using a real halter ensures your proportions are correct, and really adds a unique, high quality “wow” factor that a halter or bridle of ribbons can’t beat. For a sneak-peak at the how-to, here’s a closeup of the back. Click to enlarge for detail. 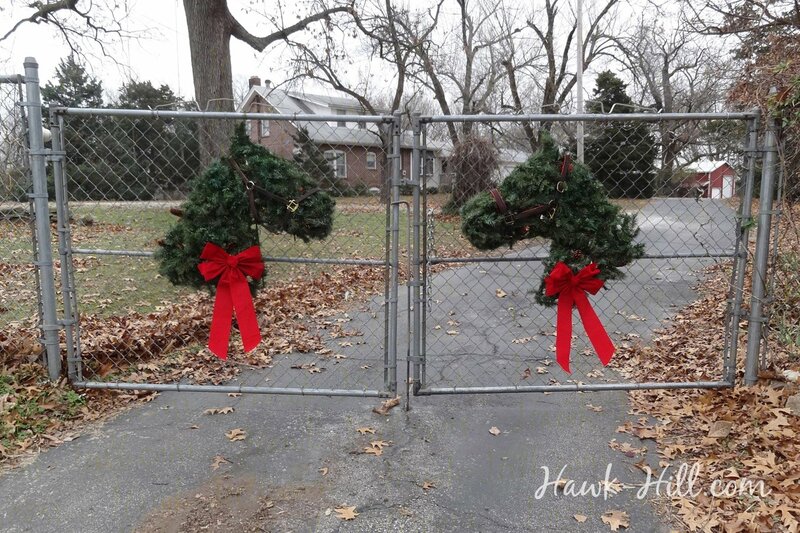 These wreaths were constructed by building a chicken wire frame and then covering with artificial greenery garland. Beautiful! Original design. LOVE LOVE LOVE IT! 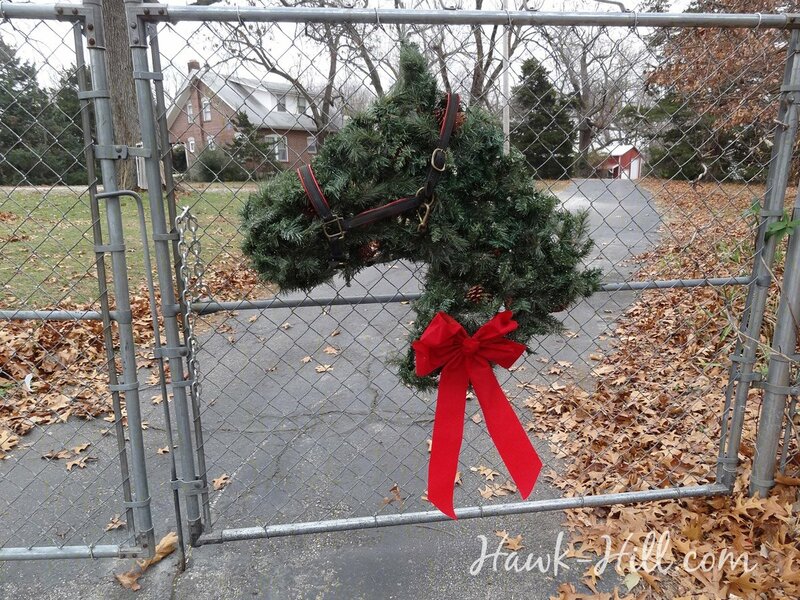 Is there a place that makes the horse head wreaths because i would love to order one for my brother who is a horseman.